You want your child to enjoy the highest possible standard of medical care. How do you go about selecting a pediatrician you can trust? Your child's pediatrician can play an enormously important role, one that is obvious during his first year of life but can be just as essential beyond infancy. Just how should parents go about choosing their baby's pediatrician so that they end up with a powerful ally they can trust completely? Parents choosing a pediatrician for their baby are going to be limited by several factors, including insurance coverage and geographical distance from their pediatrician's practice. Still, most will be in a position to choose from among several different pediatricians. The selection process is going to take some time, and you will get a head start if you start interviewing pediatricians while you are still pregnant. You could start by making a list of all pediatricians that are available to you, and meeting them for a pre-birth consultation. Some pediatricians are going to be unwilling to provide this initial meeting — and that alone should be quite enough to tell you that they are not the right person to watch over your child's health. The ones that will meet you can provide you with many valuable insights. Hopefully, you will find a pediatrician you are comfortable with. When you are making a list of potential pediatricians, you may wonder if asking for recommendations from relatives and friends is a good idea. I don't think so. People are most likely to simply recommend their own kids' pediatrician, and it is probable that they found that person through someone else's recommendation. Asking a pediatrician questions will give you a lot more information — about their personality, their approach to medicine, and other essential matters. What questions should you ask? You want to cover a wide variety of topics, from their opening hours and availability, to topics you personally care about, to safety issues within the practice. All parents want their pediatrician to be available when needed, particularly in the event of an emergency. You could start by finding out what the opening hours of your pediatrician's clinic are, if they are able to see you at short notice, and if they allow walk-in patients. You'd also want to ask how long it normally takes before a child can be seen. But, remember that you may also need your pediatrician outside of office hours. Ask if you can phone at any time in case there is an emergency, and also if the pediatrician is able to make home visits if your baby is ill. Will a back-up pediatrician be available if your own chosen doctor isn't, for whatever reason? This is very important, but you may want to visit the back-up doc as well if one is provided. How long does it take you to get to a given pediatrician's clinic? 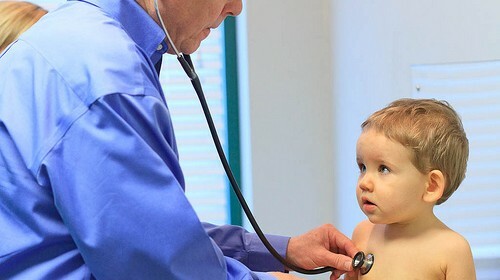 There is a lot to be said for choosing a pediatrician who is a little further away if that means you are selecting the better doctor, but distance is absolutely something to take into account during your decision-making process.